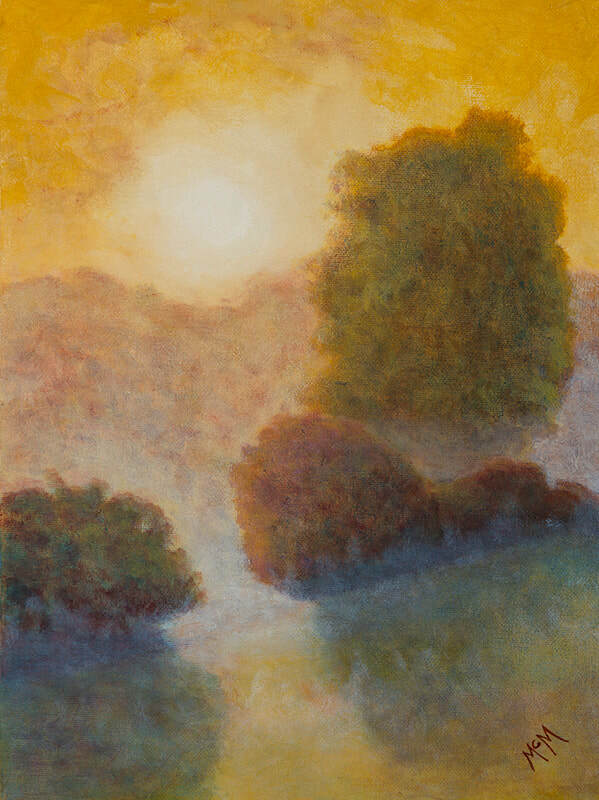 An Ozark Sunrise scene based on my many photo trips through the rugged Ozarks of Missouri and Arkansas. This painting is not really based on a specific scene, but is an image based on many the images that reside in my mind. 16X12 Oil on canvas board. Signed on the front and with a signed birth certificate. 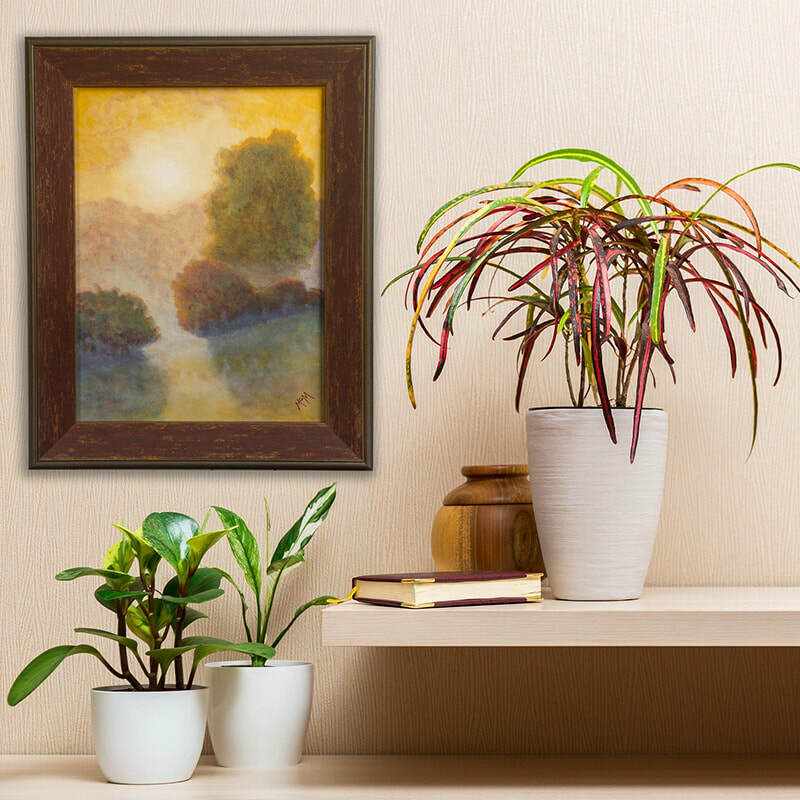 Available unframed, but the frame shown is available for an additional cost.